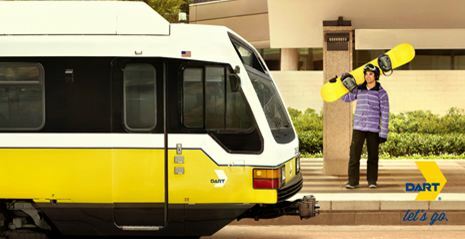 The winter holiday travel season is in full swing, and if your trip involves a flight out of Dallas/Fort Worth International Airport or Dallas Love Field, let Dallas Area Rapid Transit (DART) get you there safely. DART takes travelers directly to Love Field, too. Start with either DART’s Green or Orange lines to Inwood/Love Field Station, and once there, board the Love Link Route 524 bus for an eight-minute ride to the airport.